Planning is underway for this year’s Arkansas Folk Festival in Mountain View – scheduled April 18-21, 2013. Several special features that were revived and/or adopted for the special 50th annual celebration last year are set to be repeated for this year’s event. The Ozark Folk Center will once again host the festival’s Young Musicians Concert open to school-aged performers throughout the county. This was a well-attended event last year. Admission was free, but donations were accepted for the Music Roots program. The Jimmy Driftwood Barn will host this year’s old-time gospel singing, and song leaders from throughout the community are invited to participate. Each song leader will be invited to lead the audience in singing two or three songs. The committee is also working to schedule a special fiddle event, sewing/needlework demonstration and other special activities. In addition to the Saturday parade, other perennial events are the Artisans Market on the Square, to be held in the lot north of the courtsquare near Mountain View Music; the Merchant Fashion Show (on Friday this year) and the Talent Show (moved to Saturday). Music around the courtsquare will be plentiful if the weather is good. Scheduled groups will perform on the courthouse stage Friday and Saturday, and groups of locals and visitors will gather to pick tunes on porches, under shade trees and anywhere else space is available. The theme for this year is “Community Pride – Past and Future,” a concept that will be carried out in many parade floats and window displays. The Ozark Folk Center state park kicks off its season offering free admission to the craft grounds Friday through Saturday, and free shuttle rides will be offered between the park and downtown both Friday and Saturday. Visitors may park at the Folk Center and avoid trying to park in limited space in the downtown area. The Arkansas Folk Festival is produced by the Mountain View Area Chamber of Commerce, with corporate sponsor Yelcot. 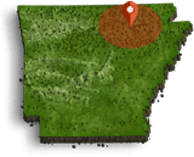 To contact the Chamber of Commerce about the festival or other local events, call 1-888-679-2859 or visit www.ArkansasFolkFestival.com. For more information about Ozark Folk Center activities, contact the state park at 870-269-3851 or visit www.ozarkfolkcenter.com.